AVAILABLE IN LIMITED NUMBERS NOW. EACH EXPANDER SHIPS WITH A GRAPHIC INSTRUCTION MANUAL, A PAIR OF INSERTABLE STAND LEGS, AND A SECRET COMMEMORATIVE GIFT. 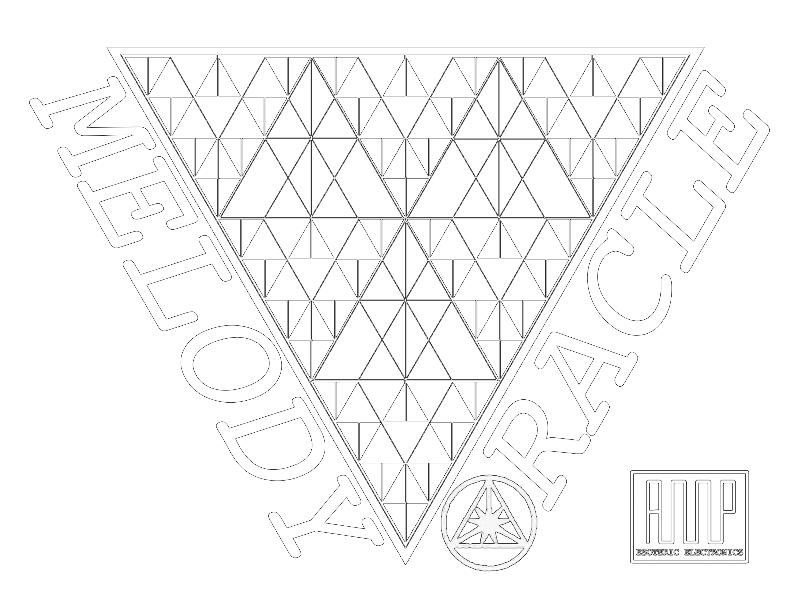 USE MELODY ORACLE TO CLOCK, CONTROL, AND SEQUENCE MODULAR SYNTHESIZERS, ANALOG SYNTHESIZERS, ANALOG DRUM MACHINES, ANALOG SEQUENCERS, ETC. SEE THE SONG OF COLOR ON THE "CHROMINANCER" COLOR WINDOW. 12 SIGNAL, CV, and GATE OUTPUTS (1/8" +12v). FIRST SET OF ORDERS WILL SHIP BEFORE 3/33/2019. ORDERS BEYOND INITIAL SUPPLY WILL BE SHIPPED THROUGHOUT APRIL 2019 AND BEYOND. Below are some "SONGS OF THE EXPANSE," featuring the MELODY ORACLE controlling and harmonizing live with analog synthesizers VIA the WAVE EXPANDER. No overdubs. HEAR, IT IS: the production version of MELODY ORACLE, the first in a line of musical instruments from A MAGIC PULSEWAVE ESOTERIC ELECTRONICS. HAND-ASSEMBLED IN THE USA. $333 + $15 shipping. Order by sending $333 + $15 shipping here. 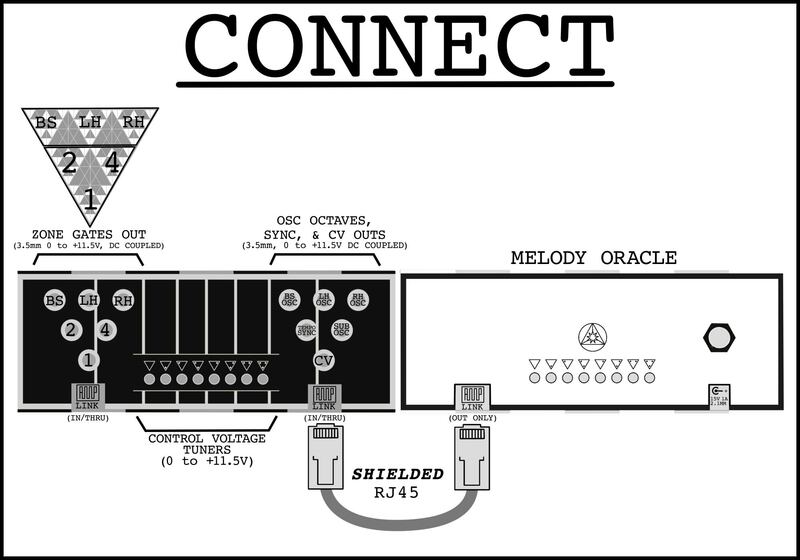 MELODY ORACLE is a "musical pattern divination system" AKA "spirit organ" with a game board-style interface, and a MELORHYTHMIC pattern generation method not found on any other sequencer. MELODY ORACLE has 8 multiturn fine tuners, a 1/4" audio line out and an "AMP LINK" port for interfacing with future AMP instruments and third-party synthesizer equipment. A built-in speaker version is also available for $421. YOU ARE A CONDUIT FOR BRINGING THE METAPHYSICAL INTO THE PHYSICAL. THE FOCUSED MIND CRYSTALIZES MATERIAL.